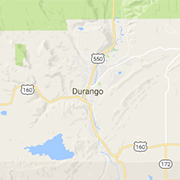 Browse Durango Hotels, Motels, Inns and Bed and Breakfasts. Take a tour and make a Hotel reservation online. Find meeting rooms, banquet halls, wedding reception facilities, convention facilities and more. For leisure or business, Durango's best hotels. A historic landmark hotel in downtown Durango, featuring Victorian Old West decor, live music, two saloons, a theatre, restaurant, and meeting facilities.